Songs David Archuleta has heart, lots of heart. He sings with passion and conviction. He also has soul, tons of soul! He demonstrated both heart and soul at his first concert of the year last Saturday night. After performing sixteen songs, he had enough left for one more very special tune. “Be Still, my Soul” is one of several Christian hymns sung to the music of Finlandia, a symphonic poem written in 1899 and 1900 by the Finnish composer Jean Sibelius. Most of the piece contains turbulent music, evoking the national struggle of the Finnish people. But towards the end, a calm comes over the orchestra, and the serenely melodic “Finlandia Hymn” is heard. Often incorrectly cited as a traditional folk melody, the Hymn section is of Sibelius’s own creation. Initially composed for the orchestra, in 1900 Sibelius arranged the entire work for solo piano. Sibelius later reworked the “Finlandia Hymn” as a stand-alone piece. This hymn, with words written in 1941 by Veikko Antero Koskenniemi, is one of the most important national songs of Finland (though Maamme is the national anthem). “Be Still, my Soul”: words to music. In 1752 Katharina Amalia Dorothea von Schlegel (1697-1768) wrote the lyrics in German in Neue Samm­lung Geist­lich­er Lied­er. (Roughly translated, New Collection of Songs for Clergymen) Then in 1855 Jane Laurie Borthwick (1813-1897) wrote the English translation in Hymns from the Land of Lu­ther. 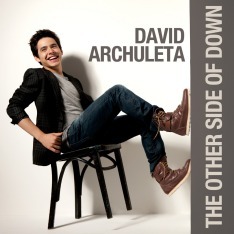 David Archuleta has a voice that is ideal for soul-stirring hymns. The voice soars, rings true, and fills every heart with peace, love, and joy. Listen to him singing “Be Still, my Soul” at these two concerts two years apart. 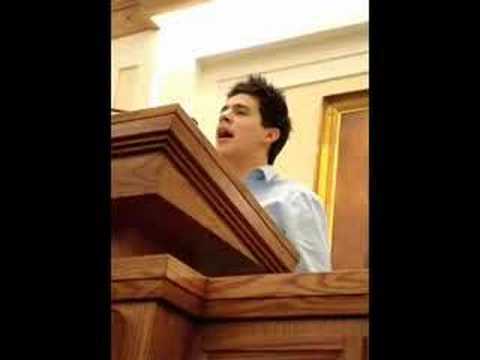 “Be Still, my Soul” was the final song David performed at the BYU-Idaho concert. David sang “Be Still, my Soul” at a school for troubled youth. After his American Idol experience and before the summer tour had begun, David was asked to sing at a fireside. He was accompanied on piano by Richard Parkinson. Be still, my soul: thy best, thy heavenly Friend. Be still, my soul: the waves and winds still know. Just beautiful! all distractions seem to disappear while David sings this song.